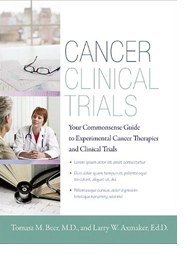 Clinical trials bring life extending and curative new treatments to cancer patients. Clinical drug trials play a vital role in moving new treatments to patients who need them most, securing data so regulatory approvals can be obtained and new drugs can move into widespread clinical practice. Patients who participate in clinical trials provide an invaluable service both to treatment science and fellow patients. The resources on this page can direct you to clinical trials that are currently open for enrollment in your local area, as well as across the country. If you are considering a clinical trial, speak to your doctor about the potential benefits of participating in a trial so you can make an informed decision that is best for you. To view our FAQs about Clinical Trials, please visit here. The Prostate Cancer Clinical Trials Consortium (PCCTC) is a clinical research group sponsored by the Prostate Cancer Foundation and the Department of Defense Prostate Cancer Research Program (PCRP), with its Coordinating Center headquartered at Memorial Sloan Kettering Cancer Center. The PCCTC is currently composed of 11 participating clinical research sites and 32 affiliated clinical research sites. A clinical research study is now enrolling men who have metastatic castration‐resistant prostate cancer and DNA‐repair anomalies. Janssen Research & Development is seeking men in the US to participate in a clinical trial of an oral investigational medication for prostate cancer. All participants will receive daily investigational medication. Janssen Research & Development, LLC is part of the Janssen Pharmaceutical Companies of Johnson & Johnson. A clinical research study is now enrolling men with recurrent prostate cancer after radical prostatectomy who have a PSA of at least 0.1 ng/mL and are planned to undergo salvage radiotherapy. The purpose of this research study is to assess the impact of 68Ga-PSMA-11 PET/CT, an experimental imaging scan for prostate cancer, on the success of salvage prostate radiotherapy. Eligible participants will be randomized to undergo a specialized scan called 68Ga-PSMA-11 PET/CT, or not, prior to their planned salvage radiotherapy. The scan will require approximately 3 hours including traveling time. This is a two-arm, open label phase 1b/2 trial with an oral administration of CPI-1205 in combination with either enzalutamide or abiraterone/prednisone in men with metastatic castration resistant prostate cancer. This study is designed to determine the maximum tolerated dose (MTD) and recommended Phase II dose (RP2D) based on safety, tolerability, pharmacokinetic, and efficacy profiles of CPI-1205 in combination with either enzalutamide or abiraterone/prednisone. Following determination of MTD and RP2D will proceed to phase 2. Patients in phase 2 will receive CPI-1205 at the RP2D in combination with either enzalutamide or abiraterone/prednisone.